Seattle is known for museums, parks, zoos & aquariums, nightlife, and shopping. Your plan includes some of its best attractions: get a taste of the local shopping with Chihuly Garden and Glass, wander the streets of Pioneer Square, explore the world behind art at Seattle Art Museum, and let your taste buds guide you at a local gastronomic tour. To find photos, where to stay, reviews, and tourist information, go to the Seattle vacation planning tool . Birmingham to Seattle is an approximately 9-hour flight. You can also do a combination of car and flight; or drive. Traveling from Birmingham to Seattle, you'll gain 2 hours due to the time zone difference. Expect slightly colder temperatures when traveling from Birmingham in June; daily highs in Seattle reach 74°F and lows reach 57°F. Finish your sightseeing early on the 7th (Fri) so you can travel to Portland. Change things up with a short trip to Multnomah Falls in Bridal Veil (about 46 minutes away). 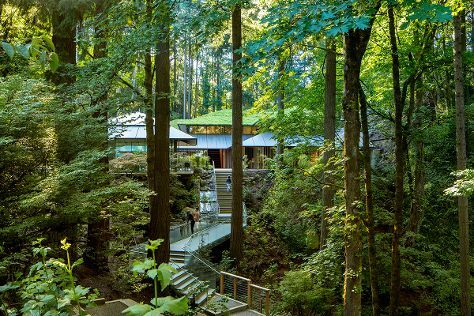 There's lots more to do: admire the natural beauty at Portland Japanese Garden, contemplate the long history of Pittock Mansion, hike along Forest Park, and stop by Powell's City of Books. To see traveler tips, more things to do, other places to visit, and other tourist information, read Portland itinerary planning app . You can fly from Seattle to Portland in 3 hours. Other options are to drive; or take a bus. In June, plan for daily highs up to 77°F, and evening lows to 56°F. You'll have a few hours on the 11th (Tue) to wrap things up before traveling home.